Panama has taken the number one spot in this year's Global Retirement Index. Panama is the best place for North Americans to retire overseas, according to InternationalLiving.com’s newly released annual Global Retirement Index 2014. 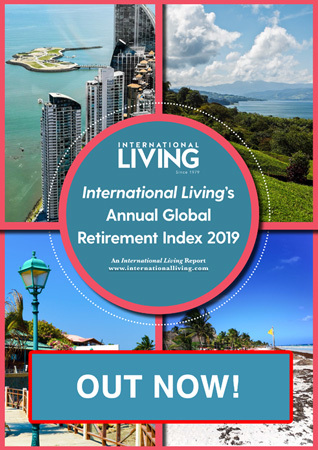 In putting together the Index, now in its 23rd year, InternationalLiving.com’s editors collated data from its team of experts on the ground in the most popular countries among U.S. and Canadian expat retirees. Panama scores high marks across the board in the eight categories considered to compile the Index. The country scores particularly well in the Real Estate category, as well as Ease of Integration, Health Care and Entertainment and Amenities. But it scores the highest points (a perfect 100) in the Special Benefits for Retirees category. Panama’s Pensionado program has made it easy for Baby Boomers to take advantage of all the country has to offer. The program was developed to give local jubilados (retirees or pensioners) access to wide-ranging discounts to ease the transition to a fixed or pension income. “Today, retirees with verifiable pension incomes of at least $1,000 a month are welcome to apply. Prove that you have an income with which to support yourself in Panama and you will be granted legal residence and access to all the pensionado discounts,” reports Jessica Ramesch, InternationalLiving.com’s Panama editor. The discounts include 50% off entertainment costs; 10% to 20% off a wide range of medical expenses; and 50% off closing costs for home loans. Panama offers the best retiree program in the world. But that is not the only perk of retiring there. A good lifestyle is affordable—a retiree couple can live comfortably on between $1,500 and $2,000 a month, including rent—and nearly everything in the country is convenient: English is widely spoken, the country uses the U.S. dollar and the international community is large and welcoming. “Panama City is a cosmopolitan, first-world city, so it’s easy to understand why expats are relocating here,” Ramesch says. The full report on why Panama is the best retirement haven in the world, can be read here: Panama: The World’s Best Retirement Haven in 2014. 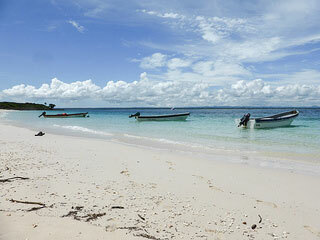 See here for photos of Panama: In Pictures: Panama – The Best Retirement Haven in the World. Editor’s Note: Members of the media have full permission to reproduce the article linked above and the photos in the slideshow, once credit is given to InternationalLiving.com.